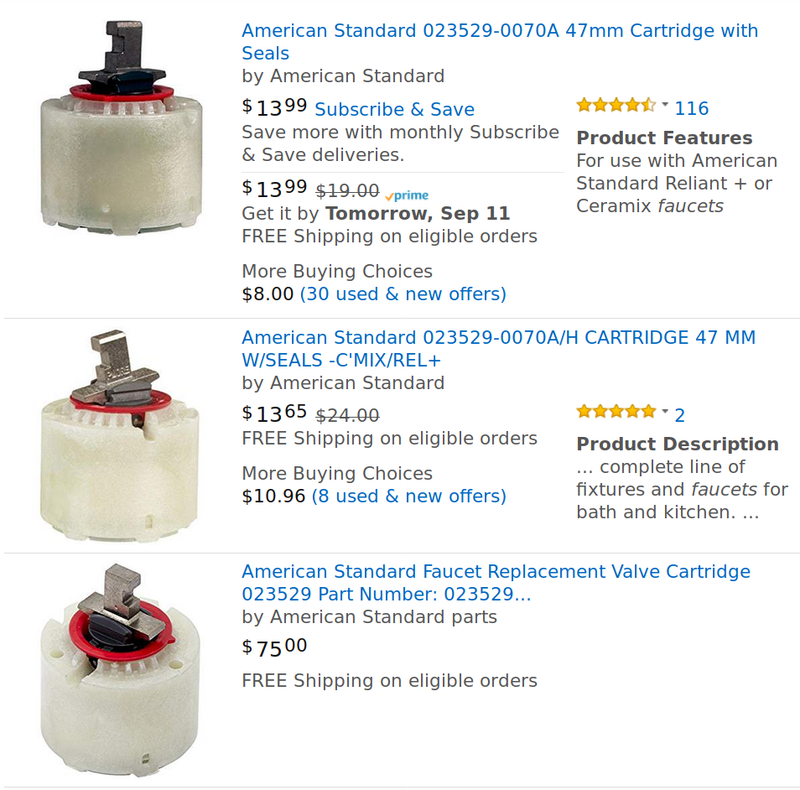 Although I’ve done my fair share of repairs to this faucet, I don’t need a cartridge every month and, in any event, signing up for Subscribe & Save doesn’t promise much in the way of savings. The second listing has the best price by a small margin. I’m content to pay half a buck more to have Amazon handle the entire transaction, rather than deal with some random Amazon Marketplace vendor. The third listing seems to be a bizarre algorithmically priced corner case, a no-stock placeholder, or a money-laundering scheme. Judging from the pricing of other “moneyworldstore” offerings, their business model doesn’t include retail sales.